There’s an added meaning to the concept of cannabis merchant services. We recently read a story about how a cannabis vaping company in California donates one meal from every product sold to area families in need. To date, it has donated more than 1 million meals, and also regularly sends its staffers to volunteer with local projects and movements. We also read about a growth facility in Colorado that provides cannabis plants to men and women struggling from the effects of AIDS and HIV, supports a large cancer foundation, a large food bank and several other philanthropic groups and missions. A farm and grow facility in California, through its expansion and consistent employee growth, helped keep an elementary school open by donating to a non-profit organization that was involved in helping the school system. There is a reason many cannabis businesses are making a point to get involved and give back to their communities. They’re simultaneously winning the public over and educating them. You’ve opened a licensed dispensary in a legal state…now what? In Canada, cannabis merchants and consumers called it the ‘end of modern day prohibition’ when cannabis was made legal for recreational use effective Oct. 17, 2018. Little by little…rather, state by state…it’s (slowly) happening in the U.S. There are always going to be, however, pockets of resistance when cannabis merchants want to open shop in any community. In a recent blog, we briefly touched upon how it is happening in a small coastal town in Massachusetts, and thus felt that the subject needed revisiting and suggestions on how to win communities over. Because we provide cannabis merchant services through a debit and crypto currency solutions, we are in full support of legalization in the U.S., but it’s not going to come without challenges, the first being perception. Cannabis merchants can change perception through philanthropy, evidenced by the aforementioned examples. Merchants, however, need to be strategic about investing in and choosing causes within their communities. Sponsoring a little league team or youth hockey team is ill-advised, as is making direct contributions to the school system or any entity involving minors. Instead, in support of education and youth empowerment, cannabis merchants are better off to find foundations that support the local school system – most school systems have their own autonomous foundations. Cannabis merchants who give to charities and reinvest in their communities should not expect a tax break. While seemingly all businesses and taxpayers receive tax deductions for donating to causes, cannabis merchants are bound by an IRS tax code that prevents businesses ‘associated’ with Schedule I and II drugs from receiving any kind of tax credit. Cannabis is still considered a Schedule I drug, along with heroin, peyote and several substances far more powerful. As long as it remains a Schedule I, there will be no tax incentives (currently, there are movements concentrated on de-scheduling cannabis altogether). Instabill has been a provider of merchant services for nearly 20 years and continues to embrace merchants and business that are classified as high risk. As the cannabis industry continues to move toward legalization in the U.S., Instabill has the acquiring banking partners in place to provide robust merchant services merchants desperately need. In addition, Instabill has long been a merchant account provider of cannabis-related industries, such as CBD oil, hemp and medical cannabis. 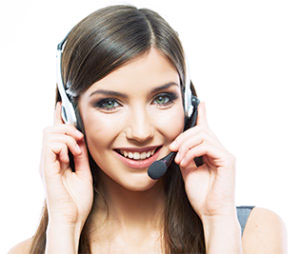 Our merchant account managers are available for a conversation today by calling direct at 1-800-530-2444. We’ll walk you through the best cannabis merchant services solutions we know , as well as the proper KYC documents for the merchant account boarding process. Finding Payment Solutions for Marijuana Businesses: What’s the Latest? Accepting Credit Cards for Medical Marijuana: How Close Are We?